Global network infrastructure specialist Siemon recently joined forces with lighting expert Signify (formerly Philips Lighting) and value-added distributor Mart Networks to host an Emerging Technology Forum in Oman which presented innovative solutions and technologies that are making next-generation data centres and intelligent buildings a reality. Over 70 delegates, including end-users, consultants and system integrators, attended the event which took place last month at the Crown Plaza hotel in Muscat. The exponential growth of the Internet of Things (IoT) and Big Data is putting increased pressure on IT infrastructures in commercial buildings and in data centres. More and more IP-enabled devices are converging onto the building infrastructure and data centres are required to process and store exorbitant volumes of data generated by these devices. The immediate challenge for organisations is to understand how best to design and implement the right network infrastructure solutions to support this development. Narender Vasandani, technical services group manager for Middle East and India at Siemon, kicked off the forum with a presentation of Siemon’s ConvergeIT solutions for intelligent buildings. He explained how a converged approach to an intelligent building’s network infrastructure can provide significant cost savings and sustainability over the life of the facility by utilising a structured cabling system that converges critical data, voice, video, low-voltage lighting and building management systems onto a single unified physical infrastructure and delivering data and Power over Ethernet. He went on to demonstrate how increased pressure on data centres such as the need for increased equipment density, ease of installation, accessibility and thermal efficiency can be addressed through careful component selection. Attendees learnt how innovative data centre cabinet solutions offer innovative zero-U space between bayed cabinets that can be utilised for patching, power distribution and cable management to free up valuable horizontal mounting space inside the cabinet to enable higher active equipment density. Vasandani also discussed the importance of cabling selection in addressing requirements for higher data throughput and speeds with new Base 8 plug and play fibre systems providing an easy and efficient migration path to 40 and 100 Gb/s speeds. Fatih Simsek, end-user segment marketing manager at Signify Middle East, demonstrated how Interact Office, Signify’s connected lighting system, enables companies to harness the Internet of Things to transform their building and save up to 80 per cent on energy. He explained how LED luminaires with integrated sensors collect anonymised data on lighting performance and how employees use the workplace. This enables optimisation of the lighting, HVAC, cleaning and space usage to improve efficiency, reducing energy usage and cost. Sahil Shehri, network solution architect and technical manager for the Middle East and Africa at Mart Networks, concluded the forum by taking a closer look at the role enterprise switching solutions play in the data centre environment. He presented Edgecore Networks’ range of Open Networking hardware and software products for data centres, telecommunications service providers and enterprises, that leverage the network technology, development and manufacturing capabilities of Accton Technology. 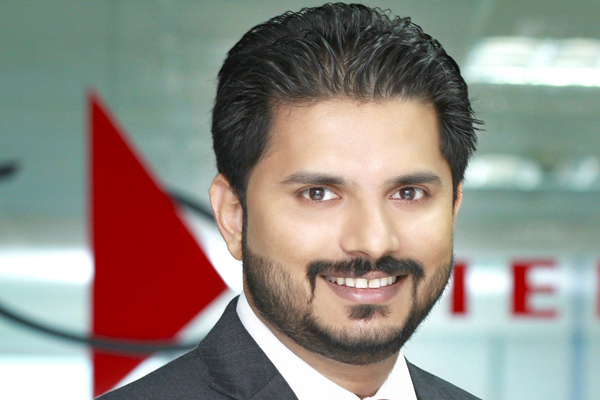 "We are delighted with the amount of interest this ETF received," said Prem Rodrigues, Siemon’s director of sales and marketing for the Middle East, India and SAARC at Siemon. "Strong attendance confirms that there is great interest in solutions that help businesses future-proof their network infrastructures and the forum gave us a valuable opportunity to position the company as a leader in network infrastructure solutions in the region. We will continue to build our presence in Oman, as we continue to provide technology and services that optimise data centre and intelligent building infrastructures."